Elza Ray 'E.R.' 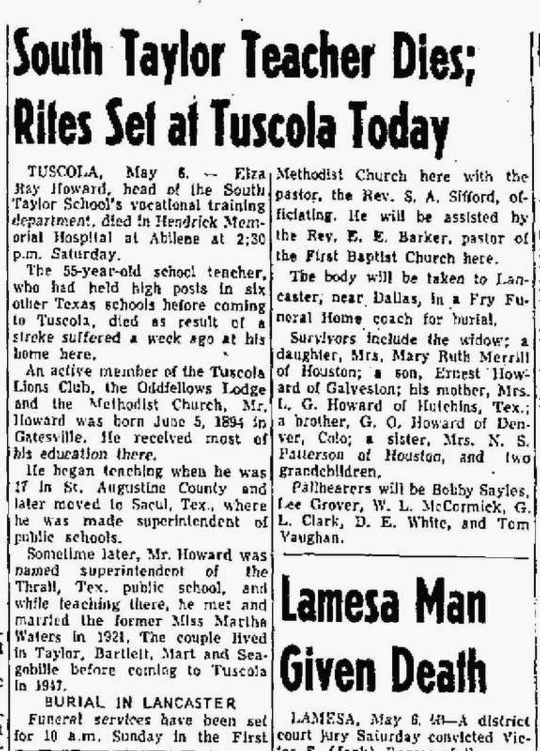 Howard, son of Levi Garrison Howard and Anna Rachel McMullan, married to Martha B. Waters and buried in Edgewood Cemetery, Lancaster, Dallas County, Texas. 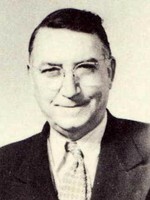 South Taylor County Independent School District Vocational Agriculture Teacher (1947-1950).